Are you thinking of buying your first home in New Mexico? Would you like complete information, including contact details, on a variety of programs available to help you purchase that first home? If so, read on. The state of New Mexico provides several programs for its residents who are first time home buyers and need help with the down payment and closing costs. 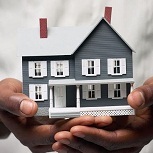 Additionally, there are Federal programs available as well as home buyer grants from private foundations. This amounts to free money that shouldn’t be passed up! The program amounts can be in the thousands of dollars. It will be well worth your time to educate yourself about the programs that are available throughout New Mexico. 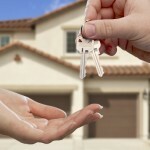 Often, the biggest obstacle to owning a home is coming up with the down payment. MFA programs can help you get into a home with very little down. See which ones you qualify for. For complete program details, please visit this website. Helping Hand offers an $8,000 loan at 0 percent interest that can be used for down payment and other costs related to the purchase, including pre-paids. Depending on the type of mortgage loan, the program may also help reduce the monthly mortgage payments through an interest rate buy down. 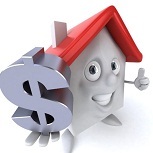 The loan is a soft second that does not need to be paid back until the property is sold, refinanced, or transferred. MFA’s Mortgage Booster program is a second mortgage product that provides down payment and closing cost assistance to borrowers who qualify for MFA’s Mortgage$aver loan. Mortgage Booster can be used with Mortgage$aver Xtra (1+1) Mortgage$aver (1+1) or Mortgage$aver Zero (0+0) first mortgage product. Payment$aver is designed to work as a 0 percent, second mortgage loan in combination with a below-market interest rate first mortgage loan to cover up-front costs, excluding pre-paids. Depending on the type of mortgage loan, Payment$aver may also help reduce monthly mortgage payments through an interest rate buy-down. In addition to the grant programs described above, the U.S. Department of Housing and Urban Development provides home buyer assistance programs in every state. There are a variety of programs designed specifically for people that meet certain requirements, such as grants for people with disabilities so they can continue to live independently at home. It is worth visiting HUD’s website to see what programs are currently available. For your convenience, simply go to here. In addition to the programs described above, the U.S. Department of Agriculture provides first home buyer incentives and programs to New Mexico residents. There are various programs designed specifically for people that meet certain requirements, and these programs change over time. It is worth visiting the USDA’s New Mexico website to see what programs are currently available. For your convenience, simply go to USDA home buyer programs in New Mexico. “To provide safe, decent housing for assisted families and for those that are ready for homeownership. The Housing Department provides a variety of programs such as assisted housing, public housing, homeownership, home rehabilitation and self-sufficiency. BCHD has also partnered with non-profit organizations to provide Financial Literacy Training, GED and Homeownership Education. The U.S. Department of Housing and Urban Development (HUD) fund the Housing Choice Voucher Program, a rental subsidy program. The vouchers awarded to eligible participants allow them to pay 30 percent of their income as a rental payment to a landlord, while BCHD pays the rest to make up the total rent contract. Accepts applications and screens potential applicants to determine eligibility. Currently the waiting list is up to two years long. “The Housing and Family Services section implements various State and Federal Grants that are intended to improve the lives of residents and neighborhoods of the community. Please see the Staff page for Neighborhood Services contact information. The Community Development Block Grant (CDBG) program is an entitlement grant from the U.S. Department of Housing and Urban Development to the City of Las Cruces that funds a variety of Housing, Homeless, Construction, and Infrastructure programs. “In November, 1961, the City Commission of the City of Las Cruces recognized that there was a shortage of safe and affordable housing, and approved a resolution that declared a need for a housing authority in the City of Las Cruces. The creation of the Housing Authority of the City of Las Cruces (HACLC) was then approved, in accordance with the New Mexico Municipal Housing Law. An Intergovernmental Agreement between the City of Las Cruces’ City Council and Doña Ana County Board of County Commissioners was approved in October, 2011, enlarging the HACLC’s area of operation to include the geographical limits of Dona Ana County, except where there is an established housing authority or housing agency. 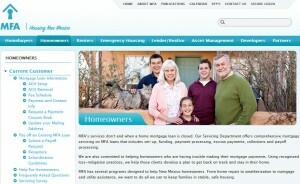 Effective January 1, 2012, the HACLC officially became Mesilla Valley Public Housing Authority (MVPHA). “Tierra Del Sol Housing Corporation is a “one-stop shop” that provides all of the services that clients need to become successful homeowners at its NeighborWorks® HomeOwnership Center. 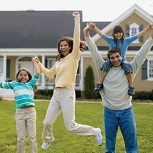 The NeighborWorks® Home Ownership Center is program specific to the NeighborWorks Network. This entry was posted in Down Payment Assistance, First Time Home Buyer Grants, First Time Home Buyer Info, First Time Home Buyer Programs and tagged Bernalillo County Homeownership Programs, Housing New Mexico. Bookmark the permalink.